When the center layer of a tooth, or the pulp, becomes infected by bacteria, a root canal is typically needed to restore health and function. Failing to treat such a tooth opens up a host of oral concerns, such as a tooth abscess, bone damage, tooth loss and even systemic illness. To save the tooth, and your general health, a root canal may be the necessary course of treatment. Over the years, root canals have received an inaccurately negative reputation, causing those fearing the unknown to avoid treatment and suffer the far-reaching health consequences. Many fear root canal pain, while in truth, having a root canal is no different than visiting the dentist for a crown or filling. 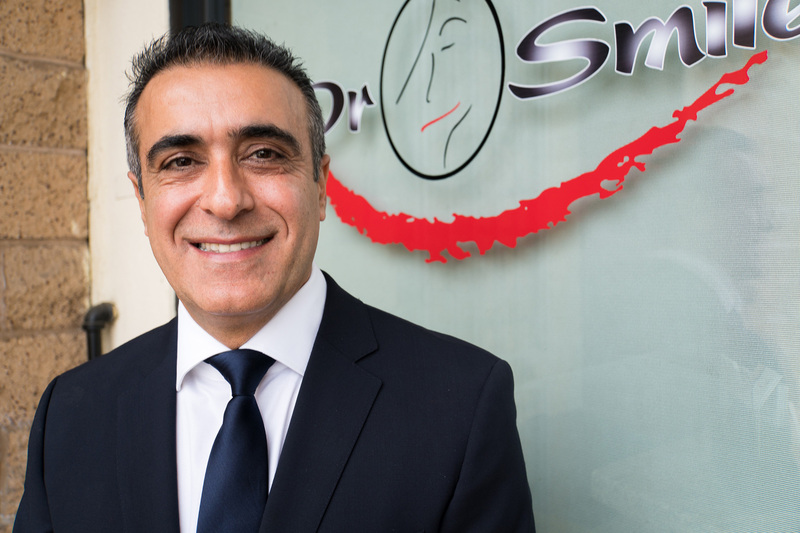 With Dr. Kayvon Javid and Dr. Mariam Nadi’s years of experience and gentle touch, you can receive the painless root canal treatment you need, preventing further damage to your health and avoiding the cost of future additional procedures. The cost of having a root canal now is much less than undergoing the tooth extraction, tooth replacement and life changes inherent to losing a tooth. What Is a Root Canal, Exactly? To perform a root canal, Drs. Javid and Nadi sufficiently numbs the tooth, providing sedation services if necessary. The pulp and canals of the tooth are cleared of necrotic, infected tissue and filled with a special material to strengthen the tooth structure. Root canal treated teeth often need crowns for full coverage and protection, as removing the pulp, or nerve center, leaves teeth brittle and at greater risk of breaking. The doctors will discuss restorative options to best meet your needs following root canal therapy. With Drs. Javid and Nadi, there is no reason to fear root canal treatment to save your tooth. They are highly skilled in all phases of dentistry, offering pain-free dental solutions to patients of all ages. To stay up-to-date on current dental concepts, procedures and techniques and the betterment of oral health, he maintains memberships with professional associations, such as the American Dental Association, the American Academy of General Dentistry and the California Dental Association, among others. Whether you require root canal therapy, cosmetic solutions or restorative procedures, Drs. Javid and Nadi are here to meet your every dental need. Severe decay threatens the tooth. A crack or fracture allows bacteria to enter the tooth. Trauma damages the tooth or its roots. Internal resorption of tooth structure occurs.